I am so, so excited to FINALLY publicly announce all our plans for Camp Stitchalot events for 2015! After many requests, we're bringing you a dressmaking camp! Next spring/summer, May 28-31 to be exact, we will be gathering once again at the Hankerd Inn in Pleasant Lake, MI to learn from a few of our favorite garment pattern designers and writers to learn the ins and outs of dress fitting. For dress camp, we've put together a really awesome team of teachers. Each one of these four ladies is incredibly talented and skilled and I know we'll all have a great time learning more about garment fitting and sewing this weekend! Our teachers for this weekend will be: Christine Haynes, Alexia Abegg, Rae Hoekstra, and Karen Lepage! Classes for camp will be announced with more detail as we get closer to the event but these ladies will help take you through the process of measuring, sewing from a pattern, and making the proper adjustments needed to custom fit any written pattern. This camp is great for anyone with at least basic sewing skills. Whether you've made your fair share of garments or this is a totally new venture for you, any sewist will walk away with the skills they need to make a custom garment to fit their needs. Head over to the Camp Stitchalot Summer 2015 page for more info and links to ticketing options! 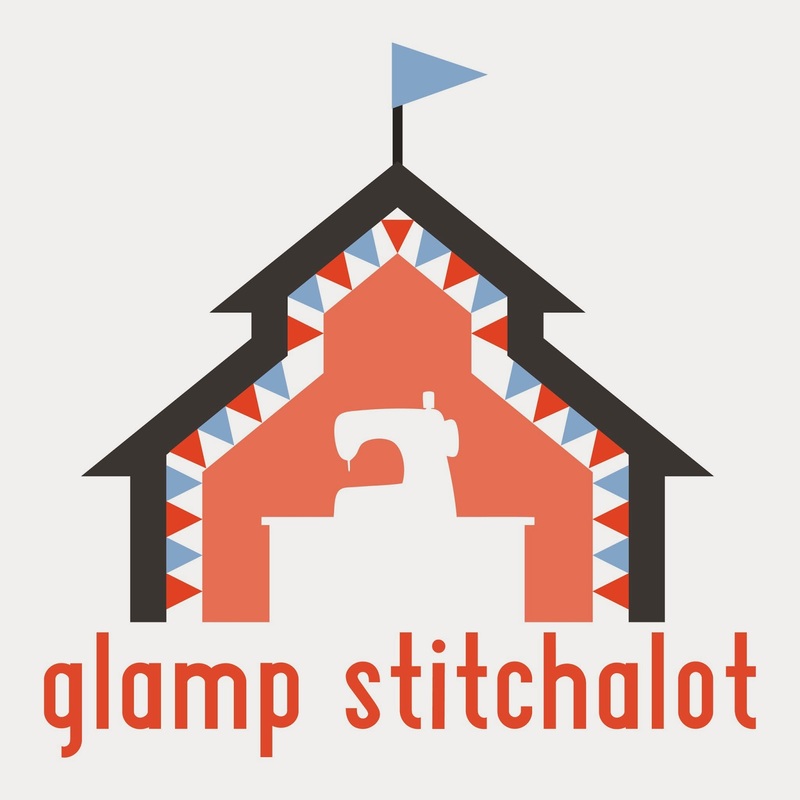 In November 2015, we will host our very first Glamp Stitchalot! We're taking Camp Stitchalot to a whole new level with this event. Our regular camps typically sell out at around 30 tickets and some people have expressed an interest in a larger gathering of awesome, like-minded quilty friends. Glamp Stitchalot will let us create that! We're bringing you more classes, more teachers, and just generally even more fun (as if that's possible) all in a fancy luxurious hotel. I know you all want to know who's coming so let's talk teachers first. I'd like to say now that there are tons of names I wish we could still add to this roster. But in our time frame, we had to set a limit of six teachers. Let's hear it for the dream team!! First, I'm so happy to bring back Tula Pink to teach with us! We had a blast with her at Camp Stitchalot this past June. She's been awesome working with us on planning this event so far but I'll tell you more about that later. She's also the source of genius behind the event name! 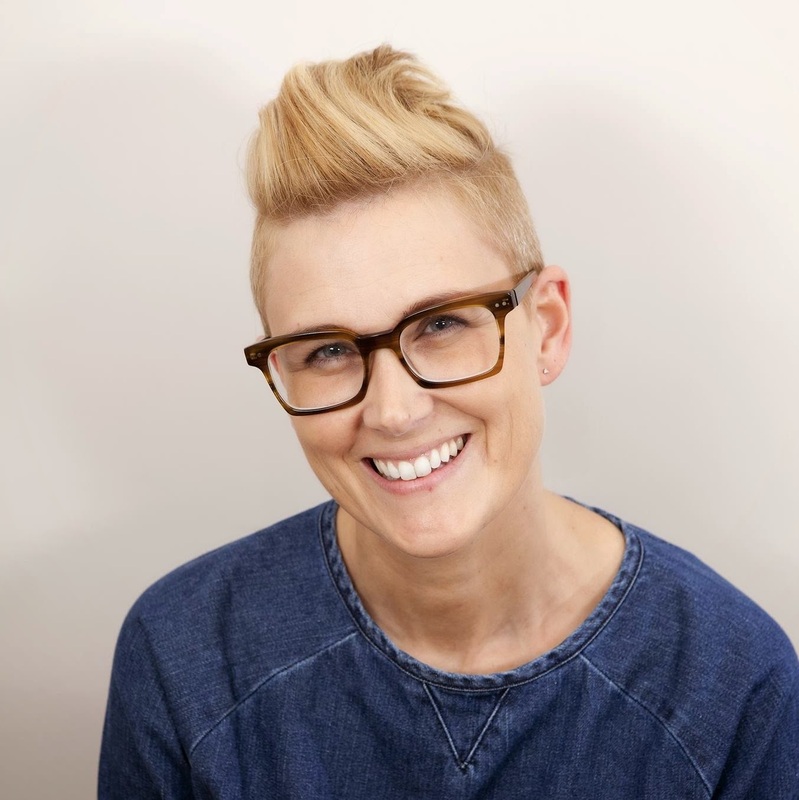 Katy Jones is coming back to the states to teach at Glamp! I'm not sure if you've noticed, but Katy has been pretty busy lately. 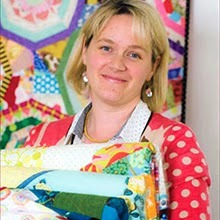 When I first started quilting four or five years ago, Katy's blog was one of the first I followed. Now, I've seen her get a show on QNN, become the editor of her own magazine, and design her own line of fabric. I'm so happy to be working with her on this event! 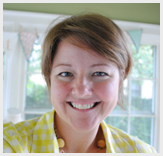 Sarah Fielke will be joining us at Glamp Stitchalot! We were lucky enough to have Sarah teach her Whirligig quilt at our shop for a few lucky Ann Arbor and Detroit Area Modern Quilt Guild members this past May. Her books are some of my favorites to pull and read when I'm lacking inspiration and I'm thrilled to bring all of her talents to you guys all the way from Australia. 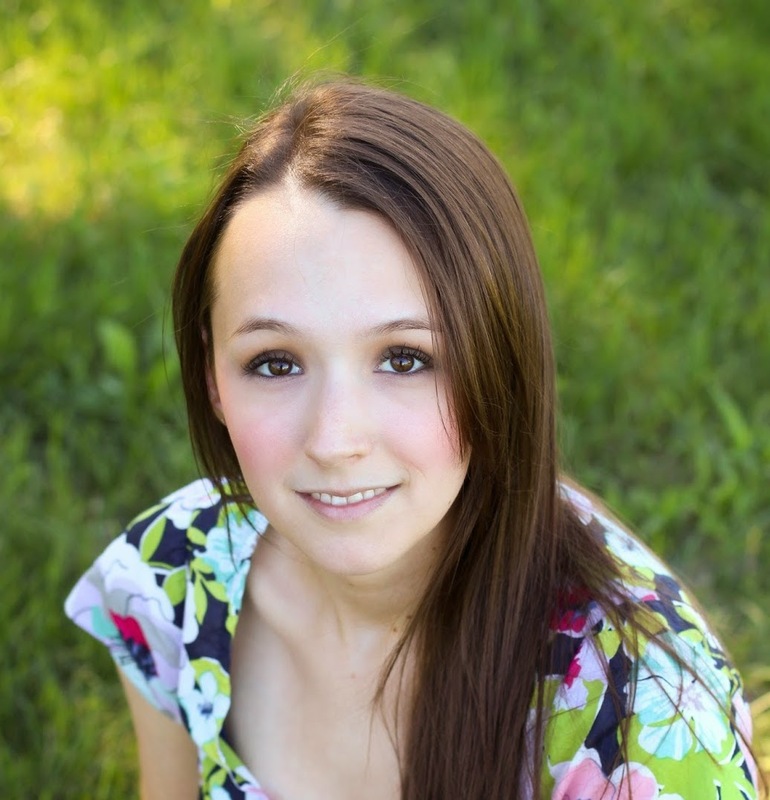 We next welcome Alison Glass to our Glamp team! 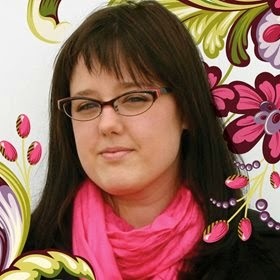 Alison is a supremely talented fabric and pattern designer and an awesome addition to our team. From fabric to embroidery to appliqué, Alison has so many tricks up her sleeve. I'm so glad Alison is coming back to Michigan to teach with us next year! 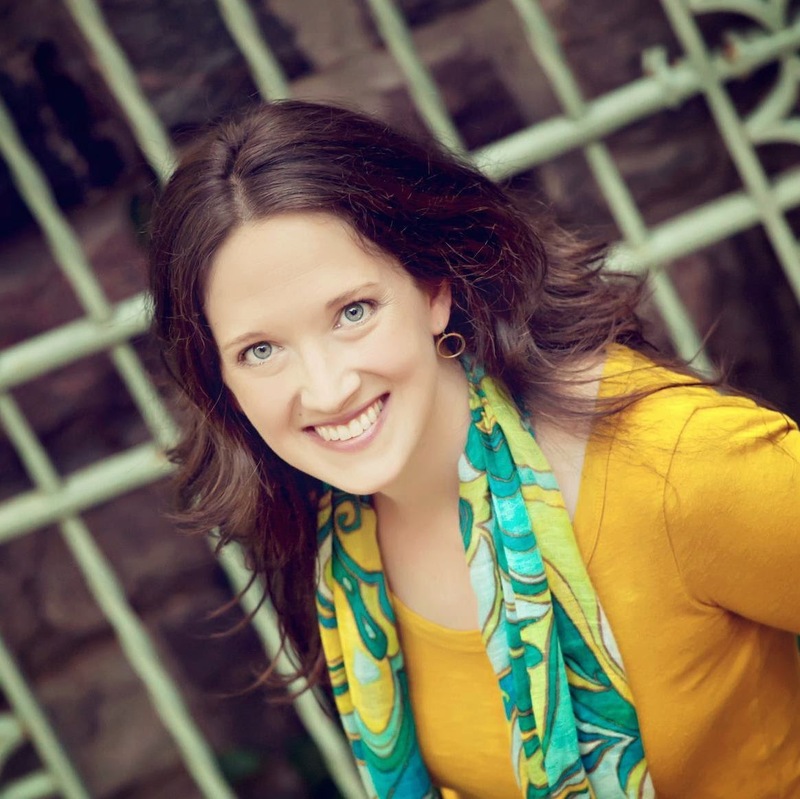 Our fifth teacher is the fabulous Jeni Baker! You probably know her from her blog In Color Order, her awesome quilt patterns, her gorgeous fabric from Art Gallery, or maybe you're just a fan of her bunny George. Jeni has taught at Camp Stitchalot twice before and because she is just so fabulous, we're bringing her back again! Last, and certainly not least, is Violet Craft! You might know Violet from her gorgeous collections of fabric from Michael Miller or maybe her incredible quilt patterns. Who isn't drooling over that Forest Abstractions quilt right now? Violet is so talented and so much fun so we're absolutely thrilled to bring her to Michigan to teach with us next year! In addition to these fine folks, Brenda and I will be joining you as your hostesses for the weekend! 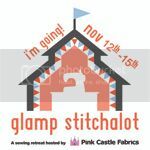 Glamp Stitchalot will be held at Kensington Court in Ann Arbor, MI. Kensington Court is a gorgeous luxury hotel and is conveniently located less than five miles from our shop. Plus, the staff at the hotel has been doing a great job helping us plan and make this event as awesome as we possibly can. So all of these awesome teachers are coming out here to Ann Arbor to hang out with us (and hopefully you too) to work on a project that will be very cool. We're all working together to put together a pattern exclusive to Glamp Stitchalot that will be a choose your own adventure style mystery medallion quilt! We have our Glamp Stitchalot web page all up and running so you're welcome to jump over there to read a little bit more about all these wonderful plans and get your tickets! I really can't say just how excited I am for all of the things we have in store for all of you in the next year or so. There's still a bit of planning ahead for us so we'll be keeping you posted with more of the fun news as it comes to us. P.S. We even made a fun button for you to share on your blog if you're going!